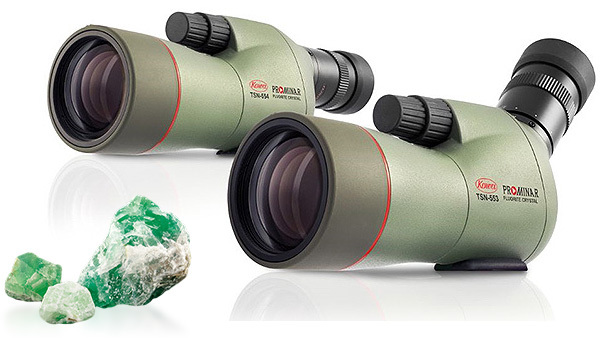 ♦ At the heart of the TSN-550 PROMINAR series spotting scope beats a fluorite crystal objective lens. This natural mineral has an outstanding feature of very low dispersion that cannot be found in optical glass. This characteristic enables Kowa to eliminate colour blur almost completely and dramatically increase resolution and contrast. ♦ Measuring just a mere 270mm in length and weighing only 800g, the TSN-550 PROMINAR is truly compact and makes the perfect travel companion. ♦ A responsive twist 15-45x zoom eyepiece means you can enjoy clear, close up views of your subject. 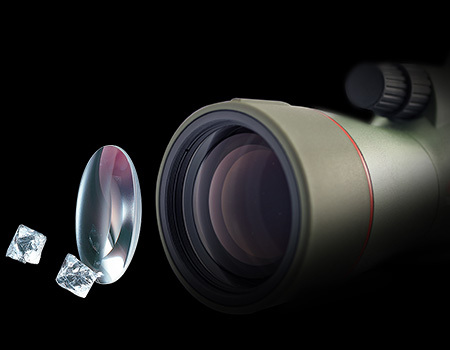 ♦ With a close focus distance of 3m – see the secret beauty of nature in glorious, fine detail. 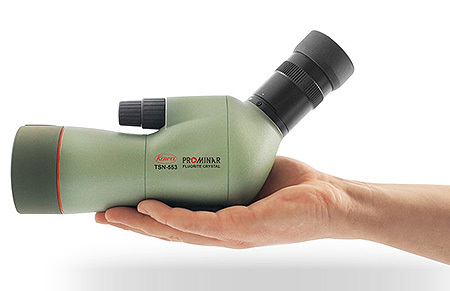 ♦ With the Kowa smartphone adapter, you can quickly and easily connect your phone to the Kowa TSN-550 PROMINAR spotting scope to create stunning highly magnified images of the world around you. ♦ The well established Kowa focus system has progressed to a new dual focus system. The quick focus, with a large and easy to turn knob, will focus from infinity to three meters in two revolutions. 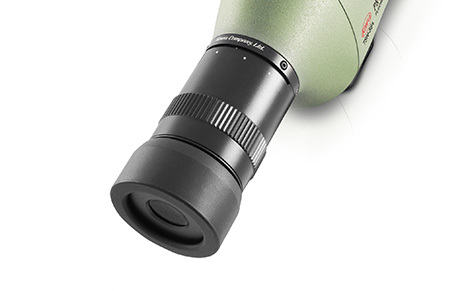 The fine focus, with smooth movement and pinpoint accuracy, is extremely useful at high magnifications and for digiscoping systems.